Rigid Lights - Site Series UNIVERSAL - Dezod Motorsports Inc - Home of the automotive performance enthusiast since 2002. Many situations require a highly portable, high-powered light source that can illuminate a required worksite. 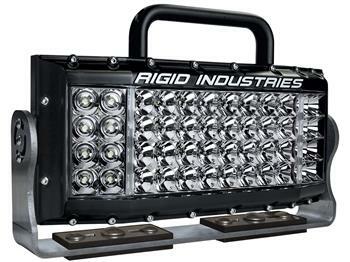 Whether it’s an emergency scene, a mine or industrial application, a remote pit in Baja, or a harbor slip, whatever the situation, Rigid Industries’ Site Series provides the flexibility to light any area and provides the mobility to easily move the lighting source with changing conditions. Featuring Rigid’s all new 80/40 Optic, Hybrid Flood and an 80/40, Hybrid Spot Combo, the Site Series offers a wider area of coverage than comparable lights from the competition. The Site Series’ handle and tilting brackets make adjustments and moving the light easy for the user. Additional mounting options are sold separately. 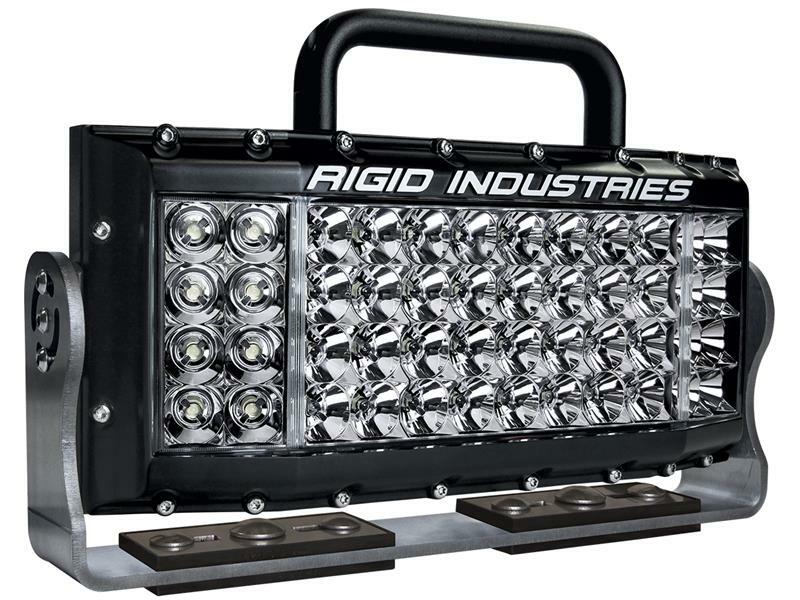 Available in both AC and DC options with a 50,000 hour lifespan and unmatched Rigid quality, the Rigid Site Series provides reliable lighting for many different worksite environments.